Today I’m looking at MAC Cremesheen Lipstick. Say the word MAC, and a collective sigh goes out among the makeup lovers everywhere. No, we’re not talking about computers here! We love our MAC makeup! Doesn’t MAC’s lipstick line smell so good? We’ve got so much love for you, MAC! I don’t wear a ton of MAC. I’ve tried lots of their products, though, and I always love them. The only reason I don’t wear more of it is simply because I can usually find a comparable product at a cheaper price. Yes… I’m that girl now, but I haven’t always been. I don’t cling to one makeup brand anymore, and I give myself the freedom to say that I don’t like some things out there… things that others think are amazing! I’m looking at you OPI nailpolish! But, there are a couple of handfuls of products from MAC that I hold fast to, and MAC Cremesheen lipstick in Modesty is one of them. I mean, this is a “holy grail” product for me. Let’s just get that on the table now so that you know where I’m coming from. It is the perfect neutral lipstick! 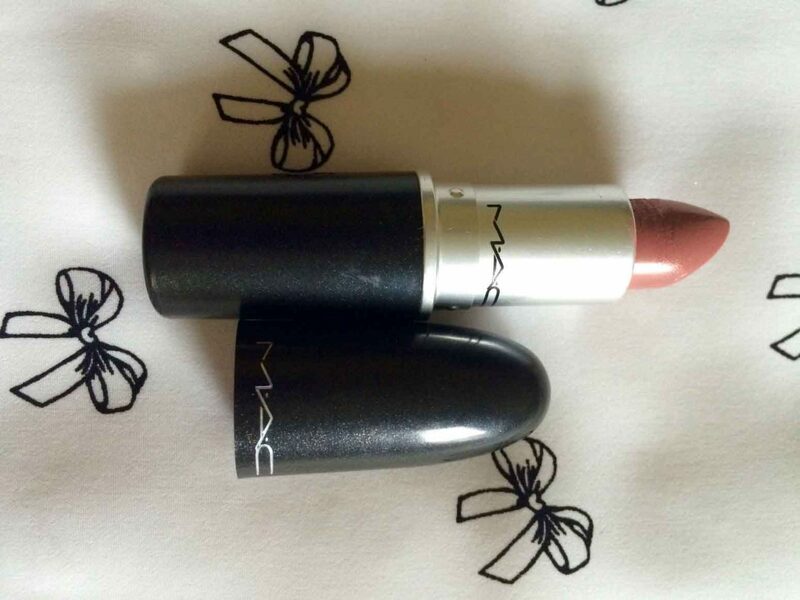 MAC Cremesheen lipsticks are infused with pearlized pigments and a moisturizing serum blend. The color Modesty is a beautiful, neutral pink with a hint of peachy brown. This is perfect for everyday wear. It would also pair well with a bold eye look for a night on the town because it won’t compete with your eye makeup. It might just be my imagination, but I think it makes your lips look a bit plumper and fuller. MAGIC! It is the perfect neutral lipstick! I will say that this is not a long-wearing lipstick; you will need to reapply. So, yes, pop it into your purse on the days you wear it. Be careful in the heat and summer months, though. It can meltdown if you’re not careful. You fashionistas know the struggle… And it is real. I give MAC Cremesheen lipstick in Modesty a 4.75 out of 5. The only reason it does not receive a perfect score is because it isn’t long-lasting. But that doesn’t carry enough weight for me to take it off of my top faves list! Looking for more makeup reviews? Click here!